The N-Monthly VWAP is the volume-weighted average price (VWAP) of a security for the selected N-Month trading period. The VWAP gives a fair reflection of the market conditions throughout the trading month and is probably the most popular benchmark used by large traders. 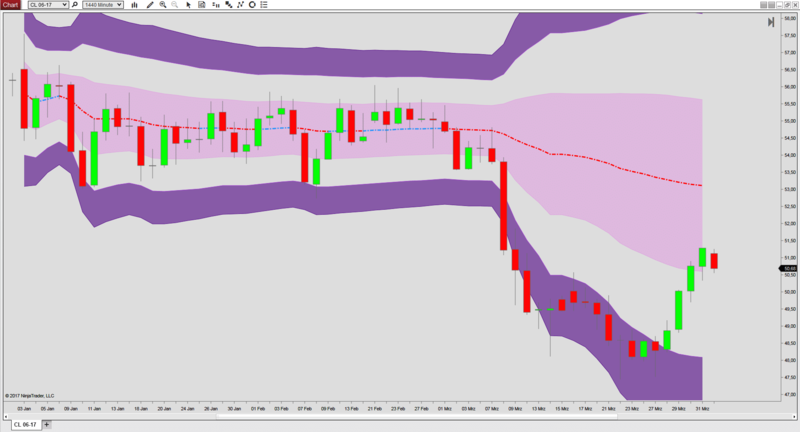 The Library VWAP version can be compared to the Premium VWAP version here. The N-Monthly VWAP takes into account trading volume such that large trades will have more impact on the benchmark price than small ones. The N-Monthly VWAP can be set to calculate for the entire period of N months or it can be set to calculate for custom hours such as the regular session. When a custom session is selected the VWAP calculation will pause outside the selected custom hours. The VWAP further comes with volume-weighted standard deviation bands. Although the VWAP uses volume information, it is best set to “Calculate” = “On price change”. It is not necessary to recalculate it with each incoming tick.